The list of courses offered by Abubakar Tafawa Balewa University (ATBU) are displayed on this page. Candidates who wish to apply through JAMB should click on any of the courses to see the course requirements. 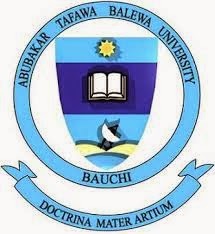 Abubakar Tafawa Balewa University (ATBU) is a federal university of technology located in Bauchi, northern Nigeria. The university is named after the first Prime Minister of the Federal Republic of Nigeria, Sir Abubakar Tafawa Balewa. The motto of the university is “Doctrina Mater Artium”, which means “Education is the mother of the practical arts”. The university was established in 1980 as the Federal University of Technology, Bauchi. The institution’s first students were admitted in October 1981 for pre-degree and remedial programmes while the degree courses of the School of Science and Science Education began in October 1982. On 1 October 1984, the university was merged with Ahmadu Bello University, Zaria, Nigeria with a change of name to Abubakar Tafawa Balewa College, Ahmadu Bello University, Bauchi campus. The university regained its autonomous status in 1988 following a general demerger of such institutions. This was followed by a change of name to Abubakar Tafawa Balewa University, Bauchi. The academic pattern of the university was formulated in 1980 after consultation with subject experts from Nigeria, United Kingdom and the United States of America. The curriculum adopted was applied in nature, as suited a technologically based institution, and this theme is maintained in all the units of the university. The university offers degrees through six schools: the School of Engineering, Science, Environmental Technology, Agriculture, Management Technology and the School of Technology Education. It offers entry level bachelor’s degrees and both Masters and Doctorate degrees. Each school is headed by a Dean who reports directly to the Vice Chancellor. The Vice Chancellor is the executive head of the university. The Vice Chancellor is appointed by the Federal Government of Nigeriaon recommendation by the Governing Council of the University. See other universities that offer Computer And Communication Eng. See other universities that offer Education/Automobile Tech. See other universities that offer Education/Building Tech. See other universities that offer Education/Metalwork Tech. See other universities that offer Education/Woodwork Tech. What advice will you give someone who plans to apply medicine and surgery at ATBU. Considering the fact that the course was started not quite long ago.